MANILA, Philippines – Amid the controversy stirred up by local groups calling for the legalization of medical marijuana in the country, traditional healer Dr. Bibiano “Boy” Fajardo was invited to share an albularyo’s perspective on this ongoing debate on the program, Open House with Gerry Cornejo. During the interview with seasoned broadcaster Gerry Cornejo, Dr. Fajardo confirmed that marijuana is indeed part of Philippine traditional medicine. In fact, he shared that during his boyhood years in his home province of Central Luzon, many households had a plant nearby, because it was the folk remedy for stomach ills and headaches. Taken as a tea, it was known to provide relief from pain. Traditionally, healers or albularyos also used the plant as a component of their herbal preparations intended for pain management. They also used it to temper the effects of other herbs that were too strong to be taken alone. 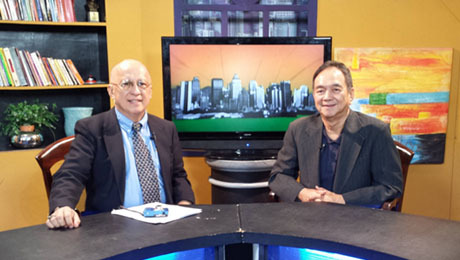 The Open House episode, entitled “Medicinal Uses of Marijuana,” was aired on the Global News Network on January 10 and 11, 2014.